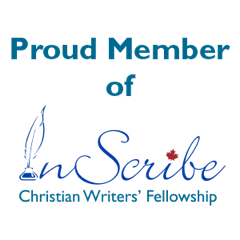 JAN: Today, I have the pleasure of introducing a writer from Australia, Narelle Atkins, who I met (virtually) through International Christian Fiction Writers. Thank you, Narelle, for taking time to share about your writing life with me and my readers. How long have you been writing and how did you come to it? NARELLE: I’ve always been an avid reader and dreamed about writing and publishing a book. Twenty years ago, I started writing romance fiction. After a long writing apprenticeship, my debut book was published by Harlequin Heartsong Presents in 2014 as part of a six-book contract. JAN: I suppose that could be exciting and frightening at the same time, to be offered such a deal, but you’ve obviously followed through and done well. What is your preferred genre? JAN: Why do you write? NARELLE: Because I can’t not write, lol. I have characters in my head who won’t go away or shut up until their stories are written! JAN: An active imagination is a great motivator. How and where do you write? Are you a plotter or a pantser? NARELLE: I can write a first draft anywhere. I wrote a large portion of Solo Tu, my latest release, using the Notes app on my phone. For the editing stage, I prefer to work at home where I can be left alone to focus on the story. I’m a plotter and I typically start my stories with a robust outline in place. The outline is fluid and I make minor adjustments as I write and learn more about the characters and the story. JAN: Where do you get your ideas? What inspires you? NARELLE: Life inspires me. I feed my creativity by being out and about and meeting people. JAN: What are some of the best methods of promoting your work? NARELLE: An author newsletter has become an essential way to connect with readers. 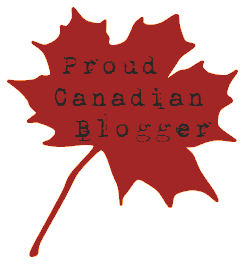 I also enjoy blogging on my group blogs and connecting with readers there and in the Facebook reader groups. JAN: What are your favorite / most effective social media? NARELLE: Facebook, Twitter, and Instagram are the social media platforms where I spend the most time. JAN: How do you balance professional time with personal time? NARELLE: It’s not easy. I have work-a-holic tendencies, and I find it’s always a struggle to balance family, day job, and writing responsibilities. JAN: How is your faith reflected in your writing? NARELLE: The faith element is an organic part of my stories. I like exploring the spiritual journey of my characters. This may be subtle or a bit more overt. I personally don’t like reading preachy Christian fiction books, but I do appreciate reading stories with a strong and compelling faith element. JAN: Yes, it’s a fine line. What is your ultimate writing goal? NARELLE: To keep learning and growing as a writer. JAN: Good advice for any of us. What advice would you give a beginning writer? NARELLE: Take the time to learn your craft and resist the temptation to publish too soon. Don’t give up. Enjoy the journey! A fun loving Aussie girl at heart, NARELLE ATKINS was born and raised on the beautiful northern beaches in Sydney, Australia. She has settled in Canberra with her husband and children. A lifelong romance reader, she found the perfect genre to write when she discovered inspirational romance. Narelle’s contemporary stories of faith and romance are set in Australia.